Paul Revere was born in Boston, Massachusetts and lived on Fish Street. Paul learned in an infant school. This school was for young children. When Paul was 13 he left school to help his father in his workshop. 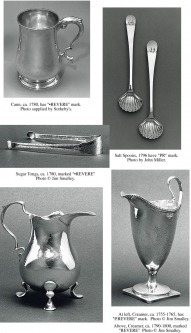 Revere’s father taught his son to be a great silversmith. When Paul was 19 years old his father died. 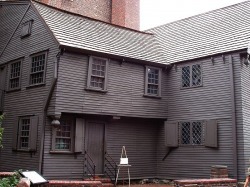 Paul Revere started the first copper-rolling mill in the United States at the age of 65. Revere grew up to become one of the greatest artists in the colonies. At times he also made copper items. Paul became well-known for his craftwork and his ability to be a good leader. Paul married a nice woman named Sarah, and they had six children. But Sarah died, and he remarried a woman named Rachel. Rachel took care of Sarah’s six children, and they had five more. 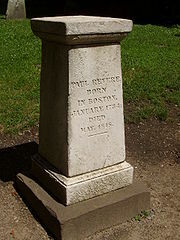 Paul passed away May 10, 1818. He was at his home in Boston when he passed away. He was buried in the Old Granary Burying Ground. 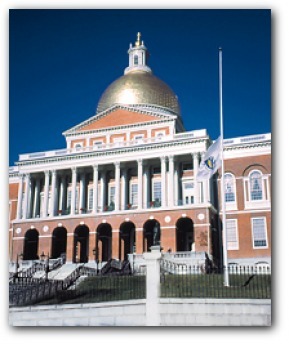 On December 16, 1773, Revere took part in one of the events that lead to the American Revolution. He helped dump 342 chests of tea into the Boston Harbor. This was a way to show the British that they were not happy with their government. One of the many jobs he had was being an express rider. Because there were no televisions or radios, people would ride a horse to give people messages. Paul Revere became a famous express rider. He took many trips delivering messages, but in 1775 his midnight ride made him a hero. He was told to warn Samuel Adams and John Hancock that British soldiers were coming to arrest them. A war was about to start in the United States, because the king of England was trying to tell everyone what to do. The United States wanted to be free. On the way Paul stopped at houses to warn all the people that the war was about to start. 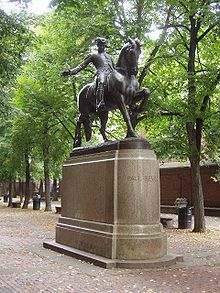 Paul Revere rode to Lexington to warn Adams and Hancock. When Revere left Lexington, he was going to Concord to get supplies for the war, but he never made it to Concord. Paul was arrested by the British. The British only kept him for a little while, and then let him go. Paul had to overcome his 1st wife’s death. This was probably a sad time for him. He had to work many jobs to be able to buy food for his family. Paul Revere did many dangerous things to help America become free. When he dumped the tea into the harbor, the British could have hurt or hung him for doing this. The British also could have hung him for his famous Midnight Ride. -Revere made a chain for his pet squirrel. It is in the Boston Museum. -When he worked as a dentist, he would carve false teeth from an animal’s tooth or from walrus ivory.